It's been quite a long time I didn't share Arakan music. 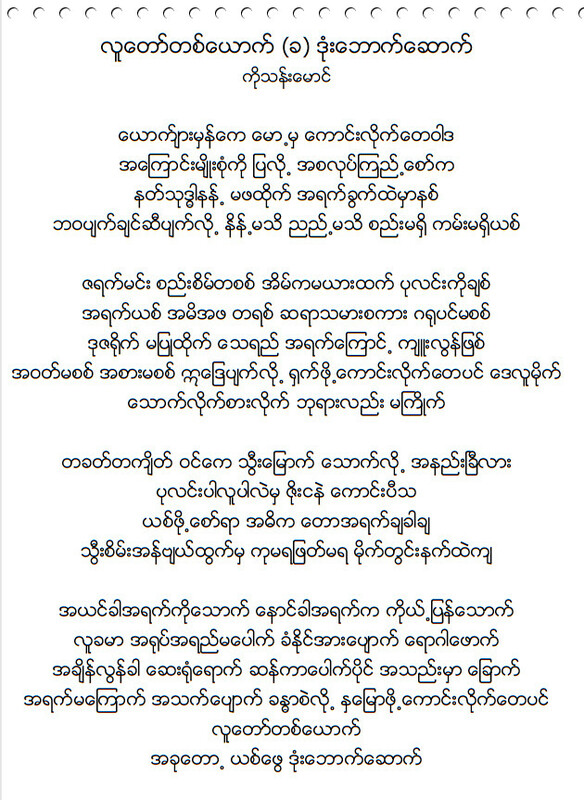 Now, I would like to share one of the songs sung by Arakanese famous singer, Than Maung. It's about a drunkard. As you all know that habits like drinking and smoking are bad habits that are difficult to quit when you got them. However, these bad habits are seems to be good when you are having first time contact with them. At the end of the days, these bad habits deteriorating not only health of that victim but also damage to personal image of the person, eventually lead to early death. It's the song sung in Arakanese, hopefully you all will enjoy by listening. would have done if I hadn't come upon such a solution like this. Los Angeles,Santa Monica,Beverly Hills or Hollywood as the eminent rental agencies are providing their rental services to the different cities of the state. and is both leisurely to observe a demonstrate.